You have just decided to sell your home. You are probably unsure of where to start, so here are some tips to consider and ponder over to help you succeed in selling your first home. The first step to selling your home is to make sure you are prepared! Do your research, find a good agent, and make sure you’re on track for a smooth and successful home sale. Keep in mind that the process of selling a home does not happen overnight nor just in one week. There are many different successful approaches, but they all require commitment, communication, and patience from you throughout the whole process. These are steps to take into consideration to guide you into the right direction in the process of selling your home. Imagine yourself in the place of the future buyers of your home. What would they be looking for that would attract them to consider your home? Selling a home is all about the first impression you give to your future buyers, so make sure to clean your home before anything else. A dirty or messy home may lead potential buyers to think that the systems and functions in the home might not be working properly, so a clean home will show that you have been maintaining and taking care of the home. 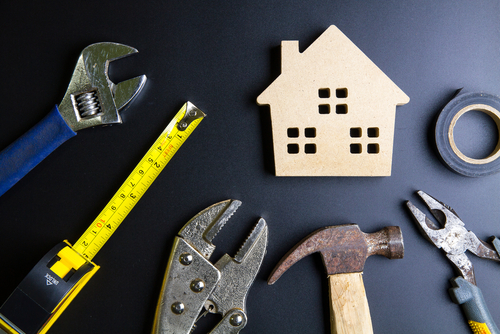 This next step involves hiring a home inspector to take a look at your home’s structure, systems, and appliances to determine whether they are working properly or whether repair or replacement is needed. Home inspectors allow you to have a heads up on aspects of your home that could potentially raise red flags for buyers. Knowing the condition of your home, this will help you know how to price your home accordingly. REPAIR or TOUCH UP your home. Take action after going through the home inspection process, even if you don’t have any major problems. There should always be something that will help you make your home look nicer and end up attracting more buyers. Repairs and touch-ups may include finally fixing the leaky pipe, repainting the walls, or patching up wall defects. Get an APPRAISAL for your home. When you’re ready to price your home for your potential buyers in the next step of the home selling process, it is helpful to get an appraisal for your home. This is one of the most important parts of selling your home because this is where you decide what to price your home to attract potential buyers that are willing to buy. Experts will know how to price your home according to its value in the market using an objective and professional opinion. This step in the home selling process allows your potential buyers to imagine themselves living in your home and gives them ideas on how to decorate and furnish the place. Your goal is to move around your furniture or reconstruct the design of your home to highlight the parts of your home that make it unique. This is a crucial step for the process of selling your home. Agents will help you by using a comparative analysis process, where your home is compared to other homes on the market. The analysis compiles information on the details of other homes in your area that are also in the market. This information may include how many days the homes have been on the market and what their price is in the market. Agents will be able to use this information to come up with a price that will differentiate your home with the other homes already in the market. An agent may be able to provide a photographer to takes photos of your home and create advertisements on the internet, social media, around the neighborhood, or through word-of-mouth. They may use the price of your home or the unique qualities of your home to help your home stand out to potential buyers. Once you start marketing your home, keep the buyers who might visit your home so you can accommodate them in your schedule and also be able to prepare the home prior to their visit. Hopefully these steps have helped you gauge where to start the process after deciding to sell your home. We know the process can seem daunting at first, so we want to help you! Feel free to contact us today so we can start helping you through this exciting journey.